The Dominican Village of Long Island NY offers more than just independent living, senior apartments and retirement communities. We offer a comfortable, supportive environment designed to keep residents connected to the community with numerous opportunities to socialize with neighbors, staff, to take classes, and develop new and interesting hobbies. Contact The Dominican Village retirement community and assisted living residence and we will be happy to answer your questions. 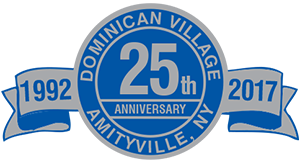 View videos from our very own Dominican Village YouTube Channel. More videos available on the Dominican Village YouTube Channel - Click on YouTube logo below.